To book tickets online, click on the red button below. 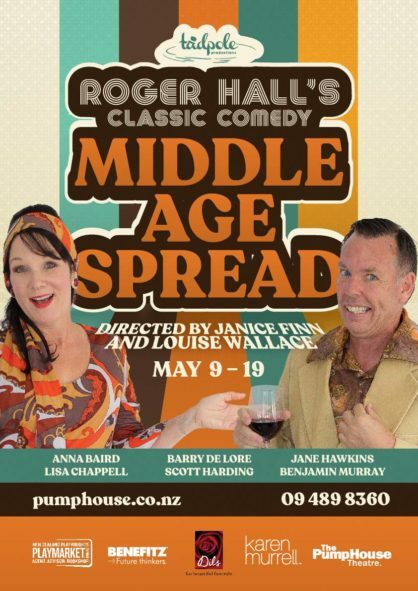 Roger Hall took the foibles of the era and created his hilarious play Middle Age Spread, exposing the insecurities of three couples who meet for a dinner party none of them really want to attend. As the evening progresses and the mid-life crises are exposed, it becomes a journey down memory lane, or an entertaining history lesson for the social media set of today.